Matt Chambers founded the Curtiss Motorcycle Co in 2017 in a pivot to electric bikes from his former Confederate brand, carrying a heavy-duty design aesthetic into new tech. Chambers broke design rules with his Confederates, and Zeus manages to maintain brand identity while wrestling with new questions. Chief designer Jordan Cornille invented a unique architecture to arrange the batteries and ‘e-twin’ motors, creating a retro-futuristic aesthetic in milled aluminum. 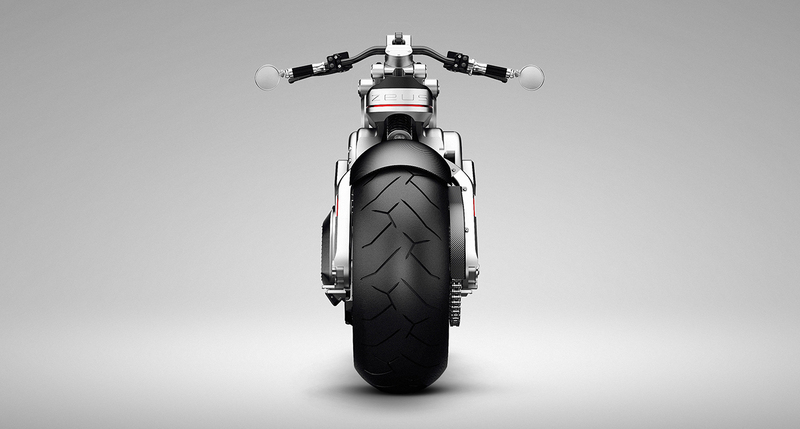 It’s a bold design, implying strength and speed, and a strong break with the past. 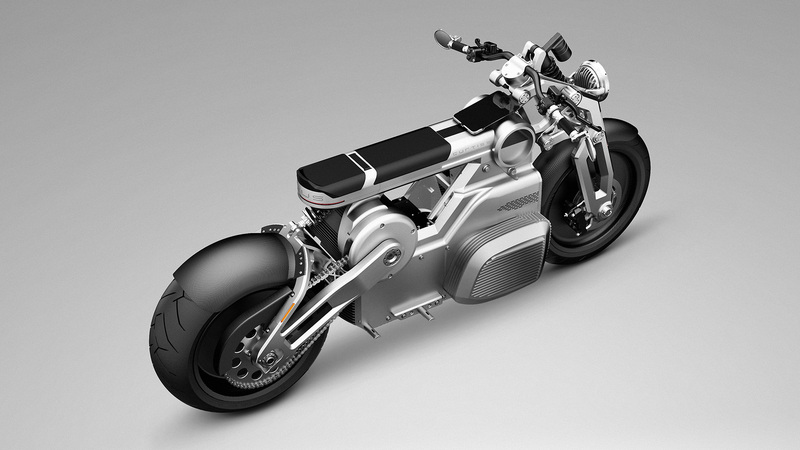 Powered by a 14.4kWh lithium-ion battery pack, the Curtiss Zeus prototype channels that power to the rear wheel via the world’s first E-Twin power unit – a set of two high-output electric motors driving a common output shaft. “Zeus introduces a fresh, all-new design DNA that will define every Curtiss motorcycle moving forward,” said Curtiss Design Director, Jordan Cornille.